As per the UID website, following are the documents which will be accepted as proof. If you don’t have some or any of the listed documents, see the bottom section ‘In case one does not have documents for proof’ for the procedure to be followed. In the case of people who do not have documents for proof, there is an introducer system. The Registrar for enrollment can designate individuals who can vouch for the validity of a person’s information. Introducers can be government agencies, banks, teachers, village postmen, elected representatives and NGOs. Introducers will be enrolled first and given training. 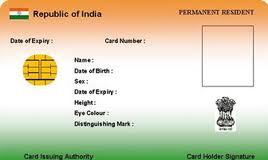 Their UID will be mentioned among the details of the person who gets enrolled. ஜி மெயில் தகவல் திருடப்படுகிறதா ?